We have been doing water damage for over 35 years. We have the equipment and expertise to take care of any residential or commercial job. We work all over the city of Atlanta, Georgia. 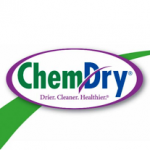 Carpet Cleaning, furniture cleaning, pet odor specialist. Serving the Atlanta metro area 24 hours a day. 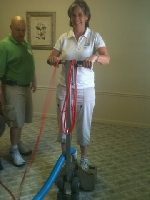 Quick response and faster dry out saves your wood floors, carpets and pad, wood cabinets and trim, even furniture! No mold can grow, it gets dry that fast. Latest technology gets you back to your life. Water Pro, Inc. specializes primarily in drying after damage due to broken pipes, flooding, hurricanes, and tornadoes. This requires an understanding of the physical properties of the materials to be dried and requires special instrumentation to calculate the extent of the water damage and the moisture content. Water Pro, Inc. uses high-tech dehumidifiers and other advanced drying equipment to get the job done in a fast, cost efficient time frame.